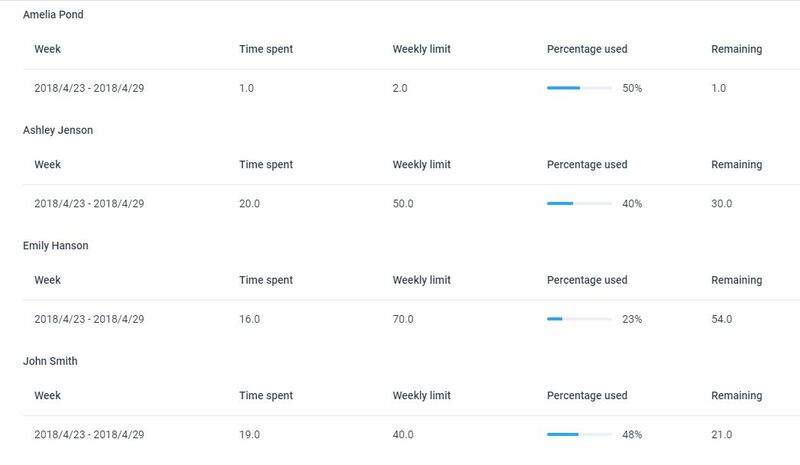 The Weekly Limit report will show you information about your users, and your own, weekly limits. It will show management the week, the time spent that week, the weekly limit, the percentage that is used up, and the remaining hours. For a user (employee), you’ll be able to see your own information only. The purpose of these reports is so that you can keep track of your weekly limit. Click here to view a guide on how to set up Weekly Limits. Click on the Reports tab and then click on Weekly Limits. You can chose either the Me version or Team version. You can filter by date and member. Also, you can group the report by member or week on the team version. You can filter by date on the Me version. You are also able to export these reports in the forum of a PDF or CSV file for you to have on your computer or email. How do I view invoices reports?